flcl_grim hasn't added any friends yet. pls2gief emote or will ben from vent!!!! 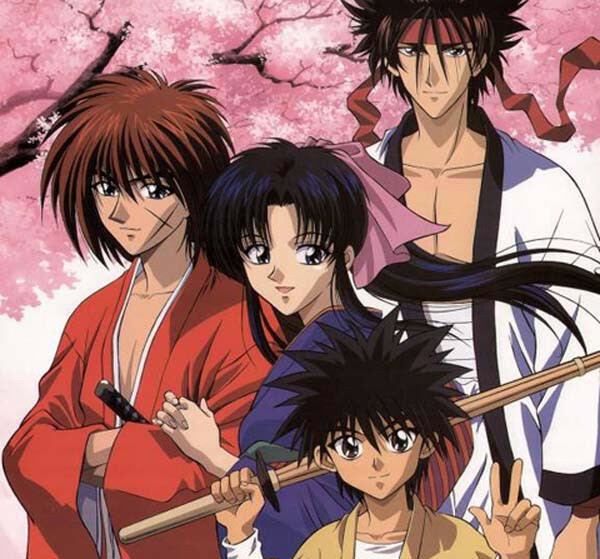 Not sure if anyone noticed, but about a year or so ago, Rurouni Kenshin was added to Crunchyroll's streaming library (Link). As one of my favorite childhood exposures to anime, it was actually rather great (especially in subbed form--even if getting used to the female voice actor for Kenshin takes some time). However, I only watched the first two seasons (with only some filler, they are supposedly rather close to the manga), as the third one is entirely filler and supposedly does not do much. I will watch it here and there, but marathon consumption of filler can be tiring and confusing for most people, as the episodes never truly cohere. As an aside, I wish anime producers felt more empowered, like comic writers, to take a character and go wild with them in their own story arcs. Most fans recommend watching the two first seasons, reading the third manga arc, and then watching the first and second OVAs for entertainment and closure. In my opinion, some parts of this show are really formulaic, but it was overall enrapturing, and I could not stop watching through it a couple of months ago; it seems to have held up well over time.